To be held under the patronage of Sheikh Ahmed bin Saeed Al Maktoum, president of Dubai Civil Aviation Authority, chairman of Dubai Airports and Chairman and chief executive of Emirates Airline and Group, the Airport Show, organised by Reed Exhibitions Middle East, will take place at the Dubai International Convention and Exhibition Centre (DICEC) from April 29 - May 1. About 7,500 attendees are expected to attend the B2B show, with 75 per cent exhibitors returning after a highly-successful 2018 participation. 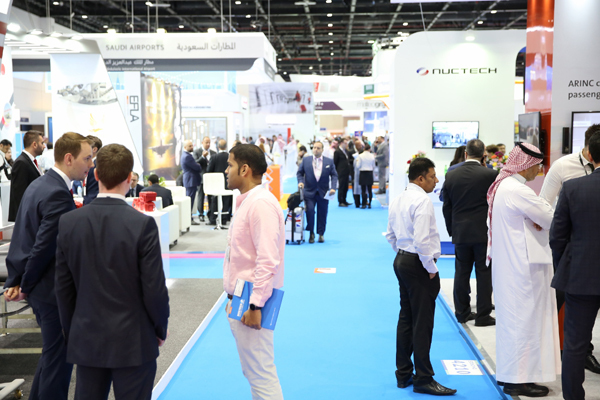 The show will take place over an exhibition space of over 15,000-sq-m across three Zabeel halls of the iconic DICEC, with visitors and hosted buyers from across the world getting the latest insights from leading international exhibitors and industry experts. The aviation industry is soaring new heights of growth and expansion. An investment of $90 billion is projected to go into the aviation industry in the Middle East by 2020; more than three-fourths of which is in the Arabian Gulf states alone. According to CAPA, $255 billion is being invested in new (Greenfield) airport projects around the world. Together with the $845 billion investment in existing airport projects such as new runways, terminal buildings and extensions, $1.1 trillion in airport infrastructure projects are planned or underway. Currently, there are 415 new airport projects in the world, of which 64 are located in the Middle East alone. There are currently over 2,300 airport construction projects worldwide, varying from $1 million to $20 billion in investments. UAE airports are investing up to $50 billion in new and expanded projects over the next 15 years, which will provide capacity for an additional 200 million passengers per annum.